Millions directed by Danny Boyle, starring Alex Etel (pictured). Daniel was working on Black 'Ell (a World War I play at the Soho Theatre) when an invitation to meet Danny Boyle for his new film came up. The producer of the theatre show was Graham Cowley who along with director Tricia Thorns, Daniel had to approach for time off for the meeting with Danny. On mentioning who the film was for, Graham laughed loudly. Danny's first job in the theatre had been with Graham at the Royal Court Theatre. He had begun driving a van for the props department. Graham was more than happy to let Daniel go to the meeting and offering Graham's best wishes to Danny proved a good ice-breaker. 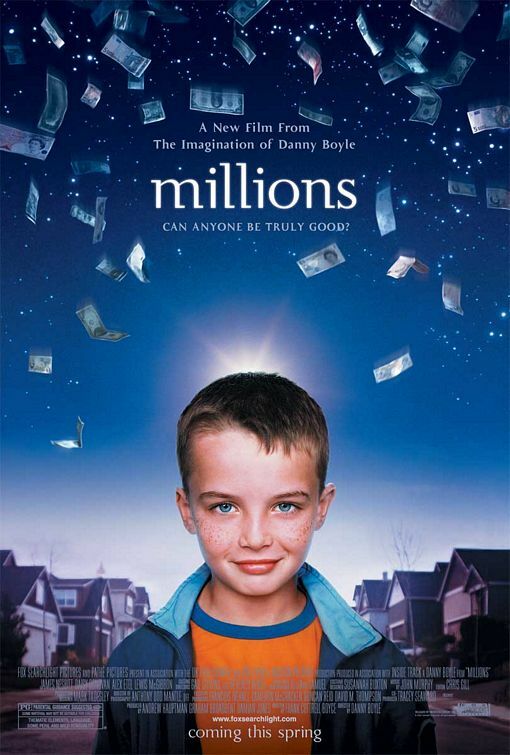 Millions was filmed on location in the North West.